We’re thrilled to reveal the inaugural shortlist for the Readings Young Adult Book Prize! We’re delighted to shout from the treetops about these talented local authors. The Prize celebrates exciting emerging voices in Australian youth literature. First and second published works of young adult fiction and memoir are eligible, and the Prize is awarded to the best new contribution to Australian young adult literature. This eclectic shortlist includes stories of post apocalyptic survival, time travelling investigative journalists, teenagers caught up in major historical events, and the rollercoaster of first love. Issues that impact young people today are reflected in these engaging and creative works, including offshore detention of asylum seekers, hate crimes, grief, depression and political freedom. This year’s judging panel included children’s specialists Angela Crocombe, Leanne Hall and Natalie Platten and digital marketing manager Lian Hingee. The panel will be joined by special guest judge, acclaimed YA author Lili Wilkinson, to decide the winner. We’re also pleased to offer the entire shortlist in a specially priced bundle ($99.99, was $116.85). That’s six great #LoveOzYA books in one hit. Boone Shepard is unlike any young man you’ve ever met. He’s an Australian-born journalist trying to climb the ranks of London newspaper, The Chronicle, in two different centuries, thanks to a roughshod but surprisingly effective time machine. Intrepid and ambitious, Boone does everything he can to file his bestselling stories, stop others from finding out about his troubled past, and save the woman he loves (a pistol-packing bodyguard who, quite frankly, can handle herself). Boone Shepard is rife with derring-do and death-defying scenarios, witty repartee, unhinged villains, time travel and references to the literature of Oscar Wilde, Arthur Conan Doyle, Bram Stoker and more. This is zany, hilarious and action-packed storytelling with a loveable and enjoyably exasperating cast of misfits and scoundrels. Boone Shepard wears its influences lightly to create a thoroughly unique story with a classic feel. Orphaned peasant Ming and upstanding Red Guard Li are thrown together by a ‘re-education’ program that introduces urban Chinese to rural ways of life. Despite their different backgrounds, the teenage boys form a friendship through swimming lessons and Ming’s tentative courtship of independent local girl, Fei. Swimming is a valuable skill in a coastal village, where it is possible, though treacherous, to swim through shark-infested waters to the freedom of Hong Kong. Inspired by the real-life experiences of the author’s father, Freedom Swimmer is a sensitive book that vividly depicts the resilience of young people during the Cultural Revolution, and illuminates a well-known period of history from a unique perspective. Teen bravado, bullying, jealousy and gossip have serious consequences in this heightened political setting. The sense of foreboding builds to unbearable levels as the two boys become desperate enough to plan and execute an escape. Born in an Australian detention camp, ten-year-old Subhi lives in trying and cramped conditions with his ill mother, teenage sister and countless other refugees. Subhi is a born optimist, a lover of stories and views the world of the camp through a dreamy, childlike lens that softens his daily experiences. His world is full of human connection: with guard Harvey, his older streetwise friend Eli, new friend Jimmie and his rubber duck Shakespeare. The Bone Sparrow addresses significant aspects of contemporary Australian life with unwavering attention to the authentic voice of an individual child, and an uncompromising ending. While Subhi’s perspective protects him, the reader stays aware of the constant danger and tenuousness of camp life, described in polished and lyrical prose. This is a powerful story told with heart, insight and empathy. Rory is required to complete court-ordered community service at an aged care facility, after taking the fall for a racially-motivated crime. Her community service results in a tentative friendship with Jack, a retired boxer and trainer. Through Jack’s gentle challenges, and a new boxing training regime with migrant Essam, Rory re-assesses her existing loyalties and beliefs. Becoming Aurora confronts simmering racial tensions and violence in Australia by taking the little-seen perspective of a perpetrator. Rory is a complex and sympathetically drawn character who carries a heavy burden of grief and guilt, clings to historical friendships, and is required to take on more domestic responsibilities than your average teenager. This is a quiet and thoughtful book that demonstrates the benefits of seeking friendships beyond your age and cultural background, and offers a realistic and hopeful depiction of transcending intolerance. Finn is surviving alone in his family home after an epidemic has swept Australia, leaving only pockets of survivors. Finn’s temporary peace ends with the panicked arrival of a teenage girl, Rose. Finn’s decision to protect Rose from the pursuing Wilders gang, and help her find her lost sister, Kas, brings danger and consolation. Rose and Kas are Sileys – asylum seekers who are traded as slaves – and their violent owner is desperate to capture them. 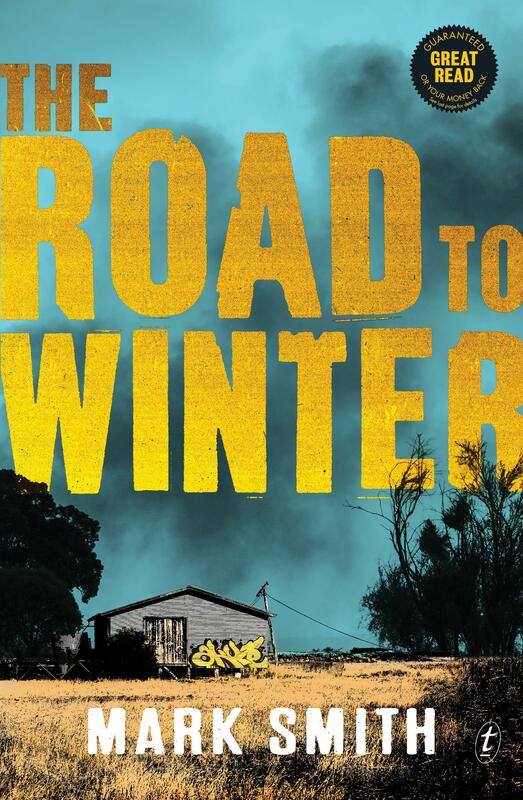 The Road to Winter is a smart and streamlined action thriller that combines survivalism with ethical questions around asylum seekers, gendered violence and human equality. The coastal Victorian setting is palpable, providing the perfect battleground for believable post-apocalyptic chaos. The resourcefulness, bravery and kindness of the young characters offset the darker elements of the novel, creating a story with broad appeal. Henry’s long running ambition to be the editor of his high school newspaper hits a bump when a co-editor is appointed. New girl Grace is a tempting enigma – dressed oddly, unkempt and barely concealing a recent trauma. Henry plummets towards first love, first heartbreak, and some sobering realisations about romantic idealisation and the devastating, unavoidable effects of grief and loss. Chock-full of pop culture references, youthful in-joking and energetic group dynamics, Our Chemical Hearts blends the dark and light aspects of teenage life with ease. Mental health struggles are given due weight and respect, while allowing for moments of genuine levity and humour. This fresh novel kicks the manic-pixie-dream-girl trope to the kerb and replaces it with complex relationships, the collected wisdom and folly of an ensemble cast of teenagers, and a realistic ending. The 2017 winner of the Readings Young Adult Book Prize will be announced in late July and will receive prize money of $3,000. Find out more about the Prize here.